Established in 1984, BAFE is the independent organisation dedicated to improving standards in fire protection. BAFE is the not for profit, registration body for Companies throughout the UK that achieve third party certification for their fire protection services. Organisations that are registered to BAFE schemes demonstrate a commitment to service excellence. The British Fire Consortium was established and launched in 1983 at the British Safety Awards Exhibition, to provide customers easy access to expert fire safety training, consultation and equipment suppliers across the UK. At the same time improving the business interests and communications of all the members. IFEDA, the Independent Fire Engineering & Distributors Association, was founded in 1989 to provide an independent representative body of fire trade companies; and is completely unaligned to any manufacturer. The key aim of the association is to promote quality standards and best-working practice within the fire protection industry. 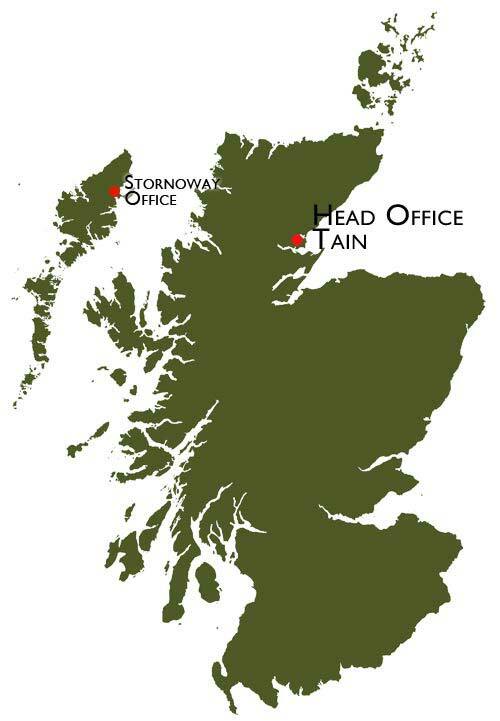 Our main service area is the Highlands and Islands but we travel far and wide throughout the whole of Scotland. Fire Extinguishers to BS EN3 and BSI Kitemarked.